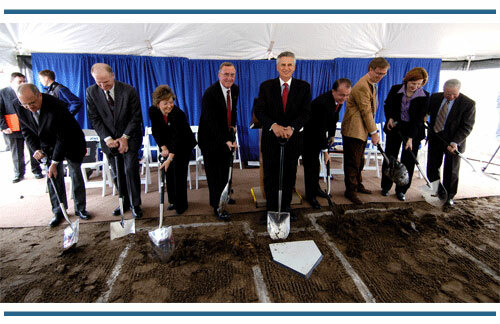 MBF Board Members break ground on Dow Diamond, April 11, 2006. The Michigan Baseball Foundation was established to bring affordable, family-friendly entertainment to Mid-Michigan. Through the Great Lakes Loons and Dow Diamond, MBF aims to revitalize and reinvigorate the region and promote greater economic and civic prosperity.